PYROLINE stands for high-quality and long-lasting fixed infrared line cameras for non-contact temperature measurement of temperature profiles in industry and research. We offer you different temperature ranges and spectral ranges for the optimal solution of your measurement problem. Additionally there are various housing variants and lenses for different purposes. 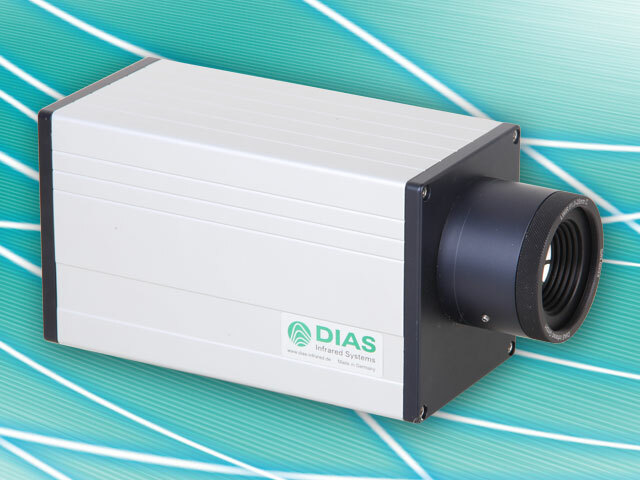 All DIAS PYROLINE infrared line cameras are developed and manufactured in Germany. They are suitable for industrial continuous operation. In addition we obstruct our cameras in manifold system solutions. Which infrared line camers suits your requirements? Depending on the application our infrared line cameras PYROLINE are available with different temperature ranges and spectral ranges as well as with different housing variants. The cameras have depending on the type 128, 256 or 512 measurement points. In addition there are numerous motor fokus infrared lenses, including tele photo and wide angle lenses, up to 90° aperture angle to enable an optimal adjustment of the camera to different measurement objects and measurement object sizes at different measurement distances. Here is a detailed overview of our infrared line camera series and models. The universal infrared line camera series PYROLINE compact is a type series with compact outer dimensions for the fixed use that enables precise measurements of temperature profiles. More information about infrared line camera series PYROLINE compact. In the housing version “protection” the camera is built in a IP65 stainless steel industry protection housing with an air purge and protection window so that ambient temperatures up to 150 °C are possible. 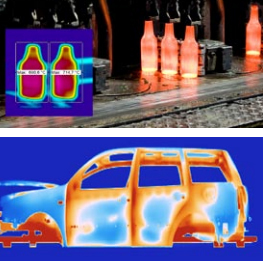 More information about infrared line camera series PYROLINE protection. Further housings are available for special application. Examples are ATEX housing and weatherproof housing, also with pan-tilt-head.